I intended to give an everyday illustration of how government regulation corrupts markets and actually consolidates market inequalities, but that will wait a few days. This somewhat follows up on Tuesday’s post, in which I discussed the inherent power of liberty and how Bill O’Reilly is no true conservative because he believes government must monitor and regulate potentially abusive business. Leaving aside the question of why in the world we should suppose that bureaucrats would be wiser and more obliging that businesses to their own customers, people too often don’t understand how free markets optimize productivity, innovation, cost and service to customers. O’Reilly’s insistence that oil companies collude in fixing prices so that “the folks get hosed,” is annoyingly shortsighted, but hardly surprising from a New York reporter. First of all, collusion is illegal and stupid business practice. CEO’s don’t get the big bucks to be stupid. But beside that, petroleum is a world market: EXXONMobil (American), Shell (Dutch) British Petroleum, Citco (Venezuela) and the Organization of Petroleum Exporting Countries. The notion is just dumb. By the way, they all sell crude here in the US. The price of refined gasoline on a busy corner is within a penny because competition is tight, not because prices are fixed. But we needn’t consider O’Reilly and the so many Americans like him to be stupid. Most of them aren’t and O’Reilly isn’t Both specialization and especially mass-culture misconceptions lead bright people down erroneous paths. Most of you will know Ben Stein. He’s a good and smart man and I like him very much. Republican Ben Stein appeared on Tuesday night with Laura Ingraham, who was substitute hosting on O’Reilly’s television program. Stein appeared so he could insist that we were in such a fiscal bind that a big tax increase on the rich was absolutely essential. It isn’t the first time Stein has said something misguided like this. Long before ObamaCare, Stein said that the rich would eventually need to pony up to provide health care for the less fortunate. But really, the most disturbing thing about conversations like this is that even a conservative like Laura Ingraham is so immersed in a culture of delusion, that in her argument with Stein, she was unable to get to the heart of the matter. You should understand a few things. 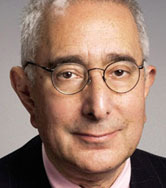 Ben Stein graduated with honors in economics from Columbia University in 1966 and graduated from Yale Law School in 1970. His father, Herbert Stein was an economist and advisor to President Richard Nixon, for whom Ben was a young speechwriter. Herb Stein and Ben were/are Republican economists (Ben is better known as a financial advisor and commenter) of the post-Keynes 20th century in which government manipulation of the economic system became taken for granted. Herb Stein was known for observing that Adam Smith was not an absolute economic libertarian, and allowed that government could encourage or impede some factors. Yes, there are some fundamental legal/moral operating parameters, most notably the restriction and sanction of fraud and harmful products. But Keynes introduced the idea that government could legally and monetarily nudge markets to encourage activity or soften swings in an economy. Keynes meant well and he didn’t even believe in control or especially ownership of markets that should be mostly free and private. But telling politicians that they can probe markets but shouldn’t overdo it is sort of like putting a 17 year-old boy in the car with a beautiful girl and a jug of wine and saying, “Now you kids be careful and don’t get carried away.” Today, the Keynesian-influenced world, from America to Europe to Japan, is in a lot of trouble. You should also understand that I am not wealthy and am not an economist. For some peculiar reason, I pay more attention to common-sense reason than to the tangled knots of academic thinkers. But Ben Stein is a wealthy man who feels it is the moral thing for men with as much or more wealth than he to contribute more to help this nation’s fiscal problems. Stein says they can afford it and will still be rich. And he is right. This reminds me of the three billionaires I wrote about some months ago who thought they should pay more taxes. Of course, they can write the IRS as big a check as they like. But whether they can afford it is not the question. Laura Ingraham correctly argued that wealthier people pay almost all of the taxes. Ben Stein said they should pay more. Constricted thinking says they can afford it and society needs it. Common-sense just says it’s wrong for different people to pay different proportions of their income. I don’t even believe in income taxes, or especially graduated ones) This kind of corrupt activity is bound to have bad consequences. So, let’s look at what is really going on. It’s amazing to me that so many fail to see it. I could care less how much money a rich man has or how much he needs. And frankly, it’s none of my business. First of all, what are they afraid a person will do with his wealth? Today, Obama is on about tax deductions for private or corporate jet-owners. But jet owners are vital for jet builders and sellers, airport employees, fuel vendors, resort employees… Frankly, there’s nothing that people can buy that other people aren’t making, selling, or servicing. But buying luxuries isn’t the issue. Do you really think that the cost of a tax increase is going to be to the provision of a spouse and family of a wealthy person? When I was a salesman, it was my job to try to keep my product toward the top of the pile of things on my dealers’ desks. Cutting back on the family is not among the first cuts of the wealthy man. No, the cost is to his superfluous money; what’s left after he takes care of himself and his family. And this is what it’s amazing that Ben Stein, THE FINANCIAL ADVISOR, doesn’t see. He sees it in terms of the net size of HIS investment portfolio, all of which HE doesn’t need. Right, but an investment manager decides where that money can be most profitably invested; where it will earn more money. And it will earn more money by helping other people provide products and services that people want. Multiply this by all of the money that is hit by the tax increase. So, the losers in this tax increase are not the families who pay the taxes. The losers are the people who would have work with investments providing products and services and the people who would otherwise consume them. In short any tax increase to anyone is cost to the private economy and the people who would work in it. And in fact, the tax on the wealthy (again, which does not include me) is the worst, because it takes the most resources out of the economy for people to work with. But in Minnesota, the Democrat governor is in the process of shutting down the state government because a newly Republican legislature won’t raise taxes on the wealthy. And Nobel Prize-winning (surely that’s a joke, now) Princeton professor economist fool Paul Krugman, while admitting that it could mean economic calamity if we don’t raise the debt ceiling, advises that President Obama allow it to happen if Republicans in Congress won’t increase taxes on the wealthy. And Obama of course, threatens that. Obviously smart and well-meaning people are not exempt from its effects. But really, it seems like only a society overgrown with ideological weeds can miss seeing what should be so obvious.